We have done quite a bit of coverage on this project over the last few months. At one point David O. Russell was slated to be the director of the adapted video game, but dropped out. Since Russell dropped out, Sony has been hot and heavy in pursuit of a new director. Needless to say they have high hopes and intentions for this film. Well, Sony finally has decided on a director, and he is Neil Burger. Neil Burger directed the most recent ‘Limitless’ that starred Bradley Cooper. He also directed ‘The Illusionist’ with Edward Norton about magic. David O Russell left the project due to creative differences and while he was still slated to direct the film, Mark Wahlberg was in talks to star in ‘Uncharted’. Now that Russell left the production, it’s up in the air if Wahlberg will star. 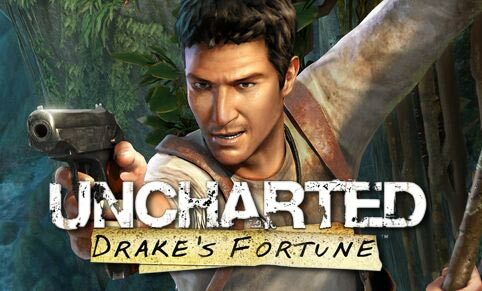 As I said before, Sony has high hopes for ‘Uncharted’. So much so that they want to turn it in to an ‘Indiana Jones’ type franchise that of old 1930’s serials. That being said, this project has some very big shoes to fill and I can only hope it does, but I do not think it will succeed as much as they think it will. Wahlberg is a terrible choice for this. I love Wahlberg in certain things, but I think this will be mis-cast with him. I’m sure within the next few weeks we will see some casting news for which we will update you. ‘Space Invaders’ Video Game To Get The Big Screen Treatment!!! This entry was posted on Thursday, July 7th, 2011 at 5:46 pm	and is filed under Film, News. You can follow any responses to this entry through the RSS 2.0 feed. You can skip to the end and leave a response. Pinging is currently not allowed. « Check Out Some Dwarves From Peter Jackson’s ‘The Hobbit’!! !